Almost every internet user is familiar with blogging. It has become. Blogging has become one of the most important parts in the life of a large number of people. Some people blog because it has been one of their best hobby whiles some blog just for the purpose of fashion only. It is something through which people share their personal views with others. When views have to be shared with a large number of people it is not possible that personal messages are sent to everyone and thus blogging is preferred because it is similar to displaying an information on the notice board so that it become known to all everyone. Blogging is something that plays a great role in the life of several celebrities as well and this is mainly to keep in touch with their fans and share some of the personal aspects of their life. The prime among them is that it is totally free and anyone can create a blog of his/her own on the internet. It is considered as one of the excellent alternative to convey some information to the people and it is said that through this information is given to a large number of people in a very short period of time. Blogs can also be used for creating and maintain a relation with other people and this is also one of the reasons that why people use blogs. 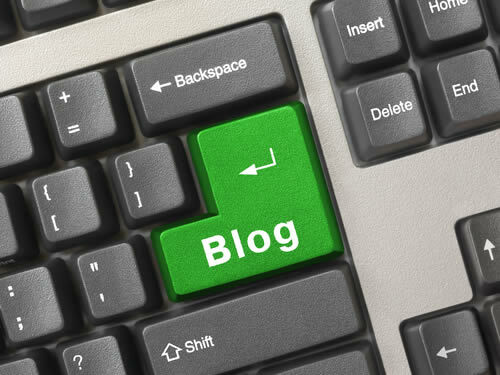 Blogs helps in maintaining a long term relation with other people. Blogging is something that found its wide application in a lot of business and especially in such businesses that are online and this is mainly because of the reason that relations always play a significant role in any kind of online business. Through blogging anyone can give his/per personal views or reviews to others and most of the time large number of people including celebrities as well communicate through blogging. There are large numbers of people who love blogging and it is said that blogs are loved by people when they contain something interesting. There are lots of celebrities that are opposite to each other and such celebrities prefer to communicate through blogs in order to attract the attention of the people because blogs are visible to everyone and this is considered as one of the factors that can help them in getting more publicity. Rather than celebrities and businesses men general public also make use of blogs for any specific purpose. Blogging is something that has become a best way to share different opinions. Blogs can also be used for the purpose of providing information on any topic to the people and blogs are also used for this purpose as well. When people want to know some of the personal information about anyone they prefer to read the blogs of that person. Blogging has also helped people in spreading awareness regarding anything among people and there are lots of people as well who uses the blogs for this purpose as well.